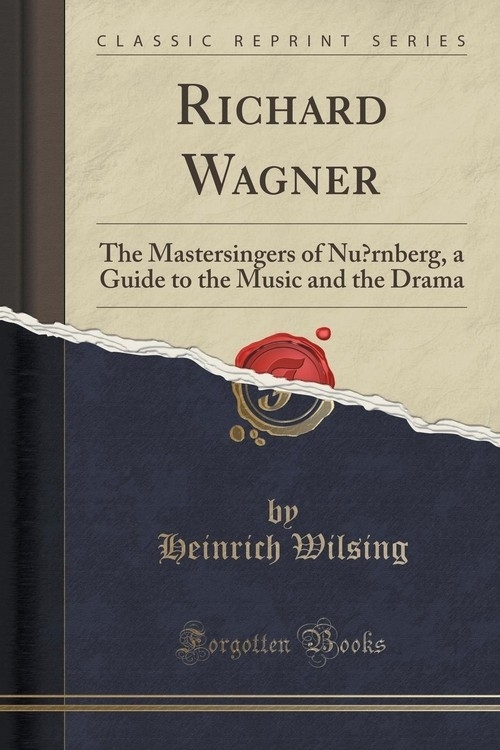 The author of a work, which is to facilitate the understanding by the public of one of Wagner's Musical dramas, is compelled to say a word of explanation, nay of justification. It is a precarious undertaking, and one easily giving rise to misjudgment, to attempt to describe by mere words the effect of a work of art. The effect of every art-work should be solely produced by the work itself and this refers, before all others, to a musical art-work which, being a product of the most personal art (der innerlichsten aller Kunste), appeals directly to the feelings. Works, like the present, therefore appear at first sight to be either superfluous or to give proof to the statement, that Wagner's works are so complicated that their understanding requires the most detailed study. Both suppositions are incorrect. Wagner's creations are of course perfectly intelligible themselves; yet, on the other hand, I believe that through the literature of "Guides" an enhancement of the enjoyment of the works is rendered possible to many people. A well-known critic has used a comparison, which seems to me to be so appropriate, that I cannot help adducing it here. If we step into one of our large gothic cathedrals, let us say Cologne Cathedral, we feel the most powerful emotion.